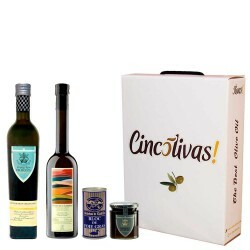 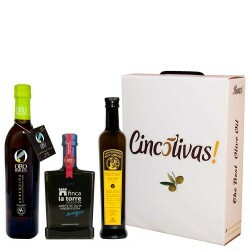 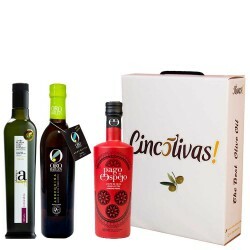 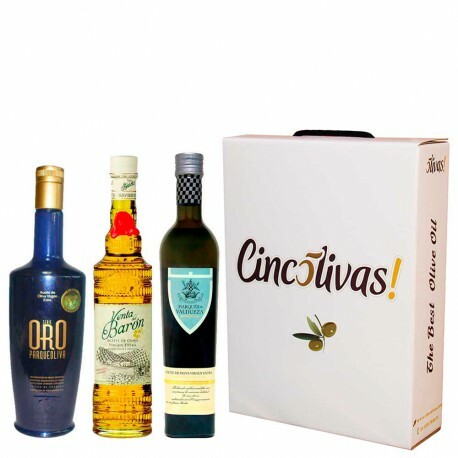 Parqueoliva Gold Serie: Coupage of varieties Hojiblanca and Picudo mix, the result is an extra virgin olive oil with a great personality and outstanding features that make this oil unique. 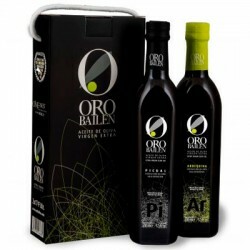 Venta del Baron Coupage is one of the finest olive oils we can enjoy. 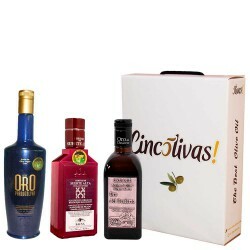 Mixture of varieties Hojiblanca and Picudo, offers us an intense fruitiness, whose entrance is sweet, slightly bitter and with a certain progression in spicy. 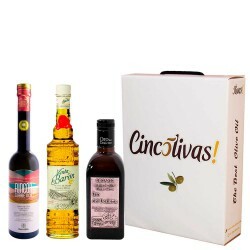 1 bottle Parqueoliva Gold Serie 500 ml. 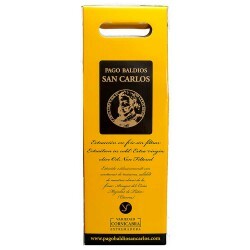 1 bottle Venta del Baron Coupage 500 ml.